Measure A is estimated to generate $1.050 billion over thirty years for road repair, traffic relief, and transportation safety projects and programs in Santa Barbara County. Relieving the traffic congestion caused by the two lane bottleneck on Highway 101 south of Santa Barbara is county's biggest transportation priority. The Measure Transportation Investment Plan allocates $140 million to widen Highway 101 to three lanes in each direction from Montecito to Carpinteria. 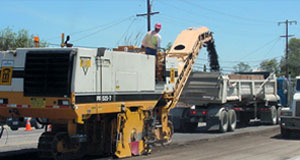 Construction began on the first phase of the widening project, from Milpas Street to Montecito, was completion in 2012. The second phase, from Mussel Shoals in Ventura County north to Carpinteria, was completed in 2015. Phase 3, within the City of Carpinteria, began construction in September 2016 and is scheduled to complete construction in 2020. Phase 4 is the project in the Measure A Investment Plan and environmental work in on-going and design efforts have commenced. Phase 4 will be implemented in segments with the first construction segment scheduled by 2019. 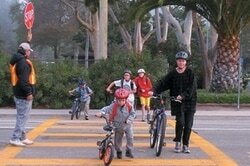 The remaining ten mile gap from Montecito to Carpinteria will require $425 million to complete. $140 million in Measure A funds will be matched with $285 million in state and federal gas taxes to accelerate the project schedule by an estimated 10 years. After funding the Highway 101 widening project, the remaining $910 million in Measure A revenue is divided equally between north and south county because the population of the county is split 50-50. Please visit the Highway 101 Widening page to learn more about the project. The $455 million in funding for projects north of the Santa Ynez mountains includes the cities of Buellton, Guadalupe, Lompoc, Santa Maria, Solvang and all unincorporated areas including, Orcutt, Vandenberg Village, Los Alamos, Los Olivos, Santa Ynez, and New Cuyama. Nearly 70% of the North County Measure A revenue will be spent on road repair and maintenance to keep local streets and roads in good condition. Transportation improvement projects funded in north county include widening the Highway 101 Santa Maria River Bridge, passing lanes on Highway 246 between Lompoc and Buellton, safety improvements on Highway 166, new freeway interchanges in Santa Maria and Orcutt, and circulation improvements for Buellton, Guadalupe and Solvang. Funding is also allocated for specialized transit for the elderly and disabled, improved transit service between communities, safe routes to school and bicycle and pedestrian improvements. Please visit the North County Projects page to learn more about projects in North County. Measure A will provide $455 million to South Coast jurisdictions and agencies. The incorporated cities of Carpinteria, Santa Barbara and Goleta along with the unincorporated communities of Summerland, Montecito, the eastern Goleta Valley and Isla Vista will receive more than $270 million for needed road repair and maintenance over the next thirty years. The Measure A Transportation Investment Plan provides new funding in the South Coast for safe routes to school, bicycle and pedestrian projects, new local and commuter bus service, passenger rail improvements, carpool and vanpool programs to take cars off the road and reduce congestion, and expanded transit service for seniors and the disabled. Please visit the South Coast Project page to learn more about projects on the South Coast. The Investment Plan identified which projects and programs will receive Measure A revenue, and the amounts they will receive, not the dates they will receive these funds. Recognizing that not all $1.5 billion in projects can be delivered at the outset of the program, the Measure A ordinance requires that SBCAG adopt a Strategic Plan that prioritizes the projects and establishes a timeline for their implementation no later than November 1, 2010. The Measure A Strategic Plan was adopted by the SBCAG Board at their October 21, 2010 meeting. The Strategic Plan was updated with the addition of Appendix C on February 17, 2011. Click here to download the Measure A Strategic Plan.